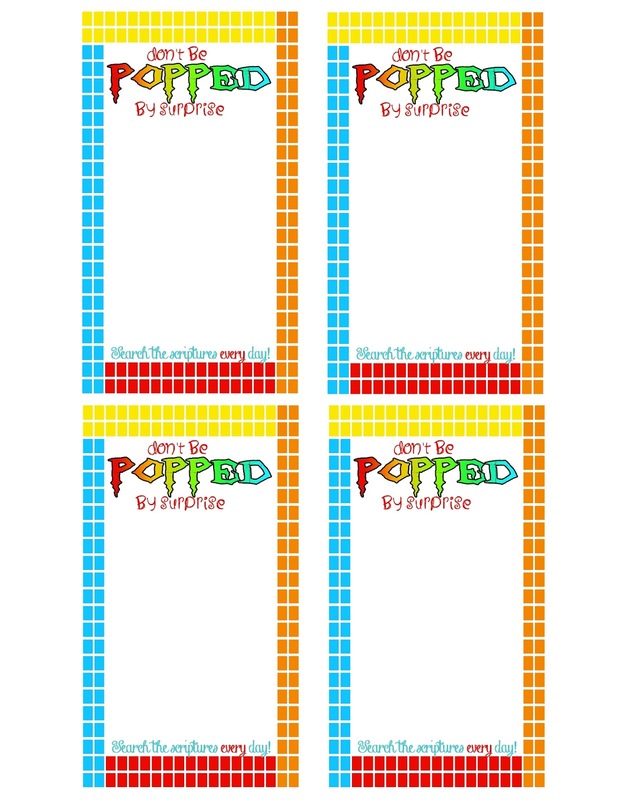 Here is a printout to use with Pop Rocks candy to remind kids to read their scriptures every day. I have three versions, a single version, a page with two printouts, or a page with four printouts per page. To use them just click on them to make them large. Then right click to save it into your pictures, or copy and paste it into your printing program. 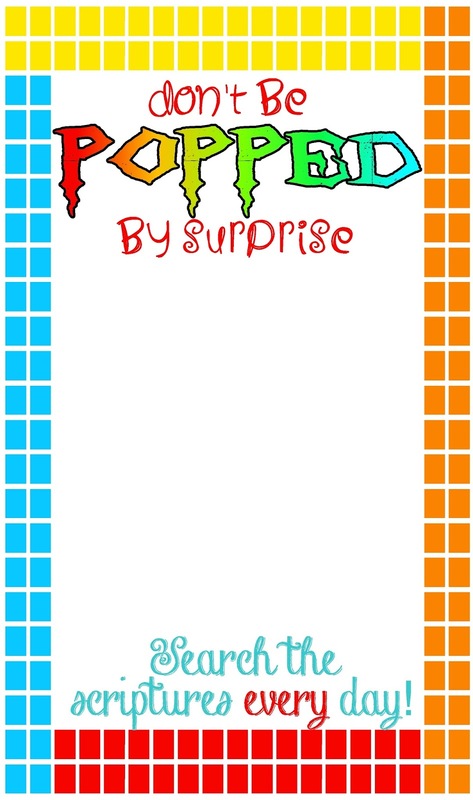 You can resize it to the size that you need. 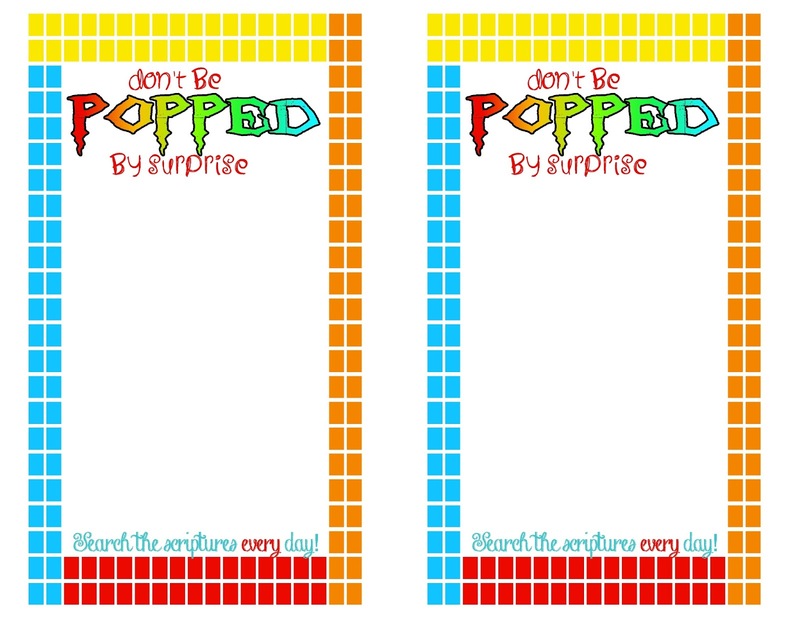 On the printout with four per page, I found a mini pop rocks candy at the dollar store that fit into the smaller printout. 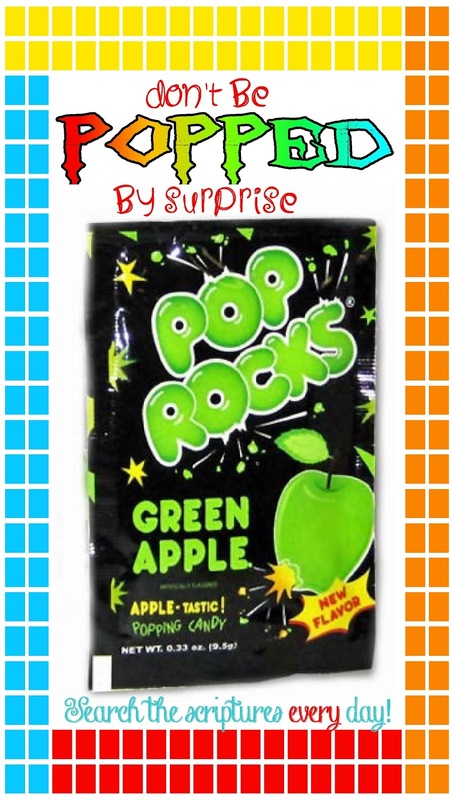 If you want to use the large pop rocks you need to use the printout with two printouts per page, then size it to a full piece of paper.